lipomed blackline is supplied in two exclusive variants: as an individually adapted made to measure garment and as a standard model. 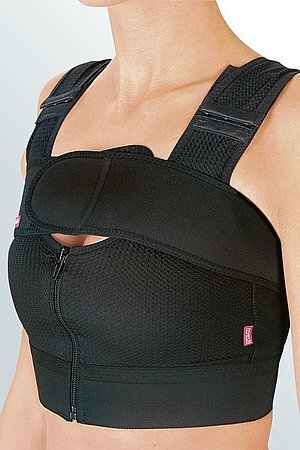 lipomed blackline fulfils all requirements on medical safety and secures the outcome of your operation. 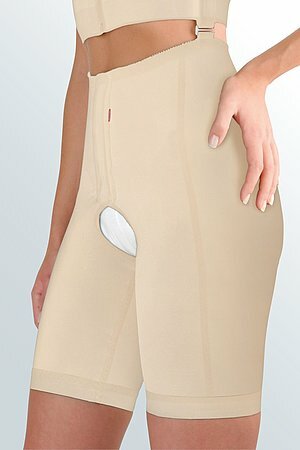 Pleasant wearing properties, fashionable design and practical features make it easier for you to wear lipomed constantly and to feel comfortable thereby. Dual closures for twice the hold: the combination of the row of hooks and Velcro fastener makes it easier to put on and gives a secure grip. Pinpoint skin contact: the nubbed structure gently massages the tissues and supports the compression effect without causing stress. Integrated hygiene opening: the generous hygiene opening makes it easier to wear consistently "around the clock".